SURFCAM Curriculum Materials | Technology Education Concepts, Inc. Please contact TEC at 1-800-338-2238 or email sales@TECedu.com for ordering info. SURFCAM Training – Overview and Geometry Creation. 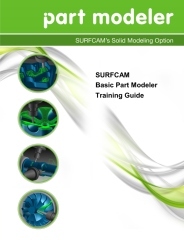 The SURFCAM Training – Overview and Geometry Creation Guide provides a complete overview of the basic functions of SURFCAM as well as the geometry creation functions within the product. This allows the reader to quickly understand both the basics concepts of SURFCAM and the geometry creations functions. This is book #1 of a multi-book series, each of which expands on the teachings of the previous book(s). SURFCAM Training – 2 Axis Milling. 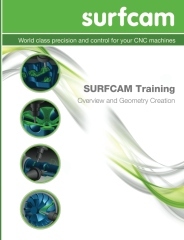 The SURFCAM Training – 2 Axis Milling Guide provides a complete overview of the 2 Axis Machining functions of SURFCAM. This allows the reader to quickly understand both the basics concepts of SURFCAM Machining and the specific 2 Axis Milling functions. This is book #2 of a multi-book series, each of which expands on the teachings of the previous book(s).